When Jesus was asked what the greatest commandment was, He replied: “Love the Lord your God with all your heart and with all your soul and with all your mind. And love your neighbor as yourself.” (Gospel according to Matthew, chapter 22, verse 37-39). With that, Jesus has indicated the three fundamental relationships in our lives: the relationship we have with God, the relationship we have with our fellow human beings and the relationship we have with ourselves. If we invest enough energy and time in these, an important basic condition for a happy and meaningful life has been fulfilled. However, we know from our own experience that the path of life of people is often a path with mountains, valleys and curves. Our relationships regularly experience dents and breaks, even if we do not really want that. We also know from experience that it is not always easy to make up and restore those damaged relationships. Shame, pride or sadness can make it harder for us. God wants to help us with this. He invites us to come to Him with our mistakes and shortcomings. He will remove that which has come to stand between us and others. In the sacrament of Penance and Reconciliation (confession) we receive His forgiving love. Strengthened by that, we can face ourselves and our fellow human beings again. We have received the strength and the confidence to ask for forgiveness or to forgive and thus to restore and deepen our relationships. God invites you. The Church wants to support you. 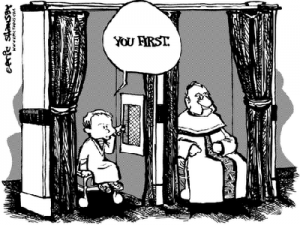 You can always address a priest about this. 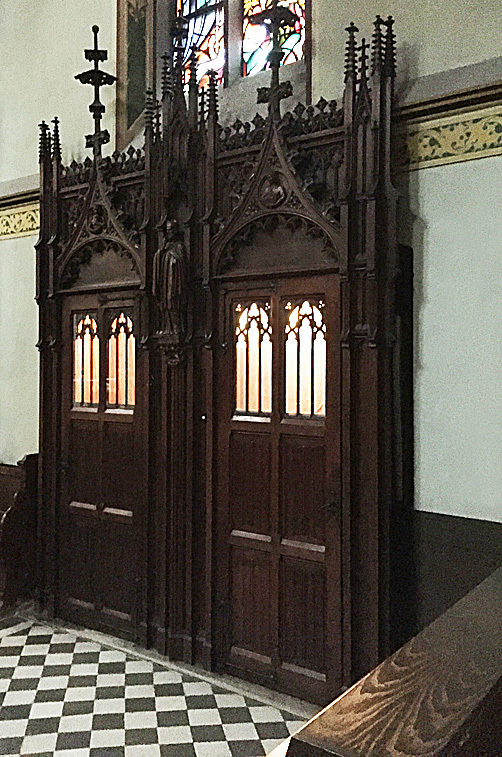 The confessional is to the right in the front of the church building.